As I told you all last week, I have been taking a photo a day for a year now. 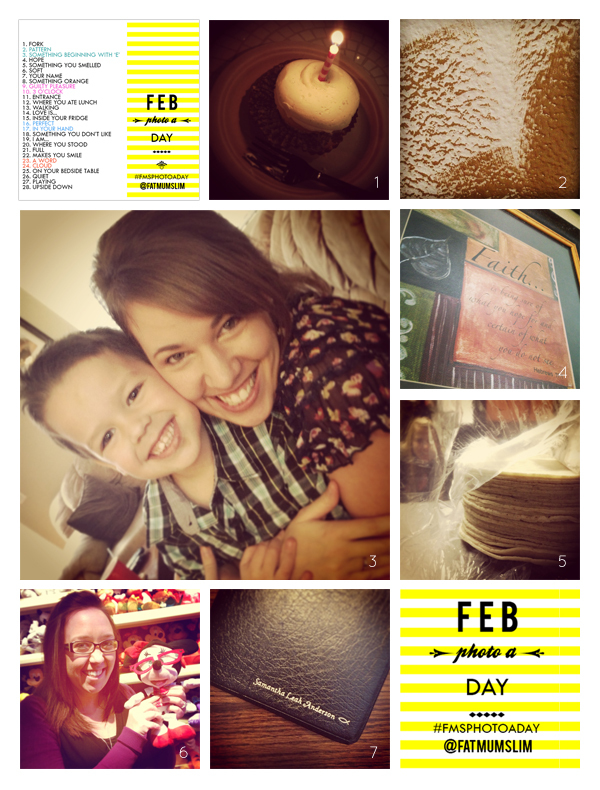 I looked back at my first Photo a Day post and had to smile… it was cool seeing what I did each day last year (of course Eli made it in both collages! :)). It also reminded me that I need to make jambalaya again soon. Anyway, back to this year… and this last week… we celebrated a birthday, painted our office, celebrated American football, had dinner with friends, and last night I finally made it to Disneyland for the first time this year. It was a great week! Join in on the fun in February, check out the Fat Mum Slim blog to get the list and Chantelle even gives some photo ideas for each day.